As retail sputters in some places around the country, Silicon Valley retailers and property owners are facing a different challenge: How to compete in a market where investment is still hot in the retail sector. The Great Mall in Milpitas is one of those looking for a competitive edge in a region where the traditional malls are either going by the wayside or upping the ante to create a space that offers not just shops, but experiences. 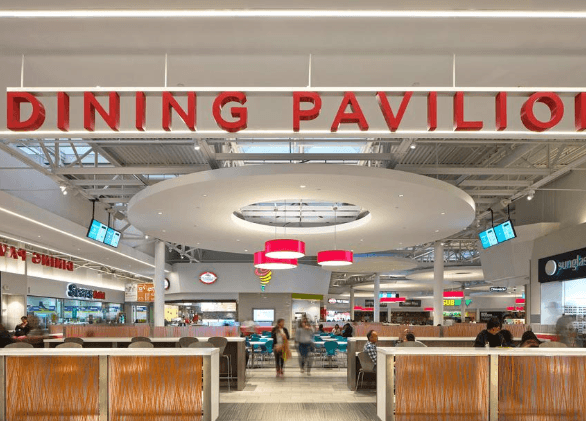 The revamp added or expanded some of its stores, but also redesigned what it is calling a “dining pavilion” that has 10 restaurants. “Our goal is to provide the best shopping and entertainment experience for our guests and this transformative renovation makes that possible,” Angela Pyszczynski, general manager at the Great Mall, said in a statement.